Do not get married! Think it through…love is not always enough. Would a love-struck, soon-to-be-married 35-year-old take this advice? What if it was a message from the future, from her 43-year-old self? 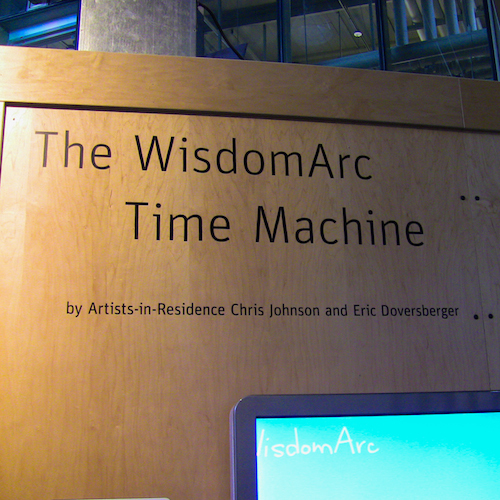 That’s the question Chris Johnson had in mind when he created the WisdomArc Time Machine. The contraption goes against everything Doc Brown taught us in “Back to the Future.” The goal: write a message giving advice to your younger self (and disrupting the space-time continuum). 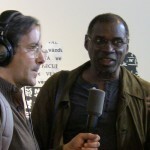 Johnson, an artist-in-residence at San Francisco’s Exploratorium, can’t explain the mildly absurd idea without laughing. “In a way it’s like a reservoir of wisdom that gets sent from people in their own futures to their own pasts,” he tells TRBQ host Dean Olsher. Participants can write about any topic, but love is among the most common. You will fall in love with a beautiful girl in college so no need to waste time with others. Don’t settle. The right guy is out there. And become a nurse. Youll love it. Johnson calls it “engaged art.” And he says when it comes to relationships, many of the responses have a heaviness to them. In a shameless imitation of the WisdomArc, The Really Big Questions recruited Esquire Magazine writer and editor A.J. Jacobs to pose the same question to his Facebook friends. This time, the advice was limited exclusively to love. Much of what Jacobs got was pain, regret and warning. Bad boys are a waste of heart. Love yourself, and take responsibility for your own happiness, because you can’t share what you don’t have. Those “Red Flags” are trying to tell you to STOP. Jacobs says the responses surprised him, but not because of the sadness. Alef is 51 now, with plenty of stories about actors, musicians and convicted felons to caution her grandchildren with. But she won’t use them. She says that would be just as futile as her own warning to the younger Julie Alef. That kind of fatalism seems to be the general sentiment. Marissa Kalman is now 20 years married, but before that she was in a toxic on-again, off-again relationship. She wishes she could spare her teenagers the same heartache. Not so different, Kalman admits, from herself. Thirty-four-year-old Stephanie Spissu agrees about the futility thing. Unlike Kalman and Alef, though, she isn’t too concerned about it. “The more I thought about it what I really came up with in the end was that I wouldn’t tell myself anything,” Spissu says. Spissu holds to a Doc Brown, “Back to the Future” philosophy, though. She believes having her eyes opened, so to speak, to her significant other earlier in life may have ruined it. The other person in Spissu’s camp, surprisingly, is the one who started all of this. WisdomArc Creator Chris Johnson says he sees two common reactions to the experiment. Johnson takes the latter approach. Still, some of the advice is haunting. things are going to go down fast, so do everything you can. Love before it’s too late! And some, for a 16-year-old, would simply be nice to know. Dear younger, firmer, and more free spirited 16 year old me…. First of all, put down that Three Musketeer Bar, Diet Coke, and pack of Salem Lights. Wait, the Diet coke is the least evil of these three. Hang onto the diet coke. Second of all, your prettier than you think. Of course you are going to get asked out. Don’t settle. You are going to break hearts. Your heart is going to be broken. Many times. But let me tell you this… from your 45 year old less firm, less free spirited self, its worth it. Your experiences, no matter how good or bad they are going to be, will shape you into the person you are today. Your not that bad if I do say so myself. Third of all, your kids will put you through the wringer, but they will be fine. Your a better mother than you thought you could ever be. Keep on loving them as much as you can and praying for them. Start early and do it often. Support them, but keep them safe. Thirdly, you will always be in love with your husband. The man you met when you thought you would be alone forever. You may not always like him, but you will be as in love with him each day as you were the day you both said “I do.” Even more. He’s your best friend. He holds your hand everyday. He loves you more than you could ever imagine. And he is kind. And lastly, something you knew was always there, but you didn’t realize it until you were in your 20’s and many things had already happened. Both good and bad. Trust in someone other than yourself. Trust God. He knows you better than you do. Your road will be easier if you follow him. You can’t do it all. Don’t try. Know your limits and recognize them in an intelligent way. Slow down. Pay attention to how the people in your life affect your wellbeing, and how you impact the other person. If the exchange is not positive, it is time to reconsider the relationship. Some relationships can be improved with communication and change, so don’t be afraid to ask for what you need. If you don’t ask for what you need, no one else will do it for you because they can’t read your mind. Be willing to accept that not all relationships are worth their investment in time or pain.